Who isn’t a fan of Green Bean Casserole? We have it at all of our holiday get togethers. 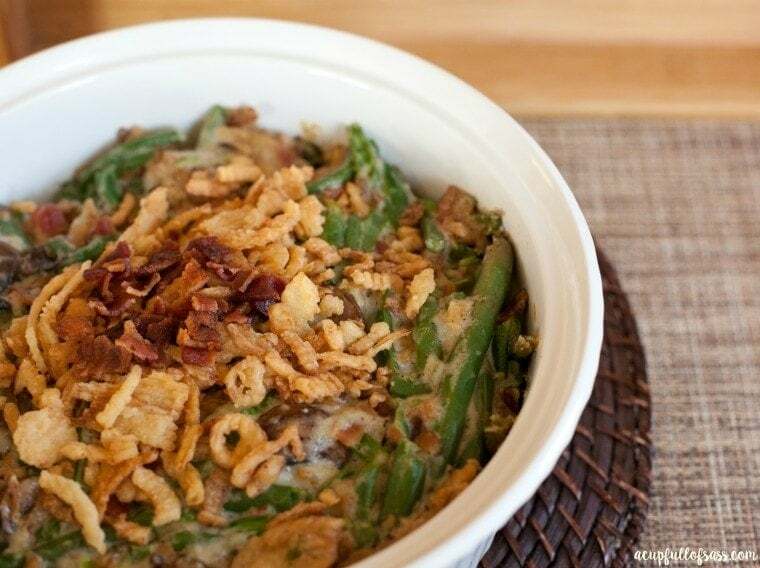 This is not your typical green bean casserole recipe. This is Bacon Green Bean Casserole. I mean who doesn’t love bacon? If you put bacon on anything, I’ll eat it. 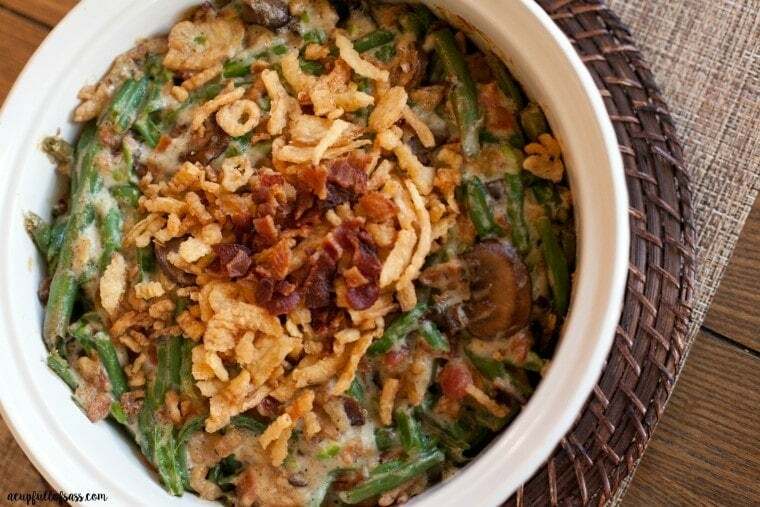 In my Green Bean Casserole recipe, I use bacon, mushrooms, and garlic. Can you say YUM?! Each bite is creamy with an added crunch. I know your mouth is watering right now. Don’t worry, mine is too. 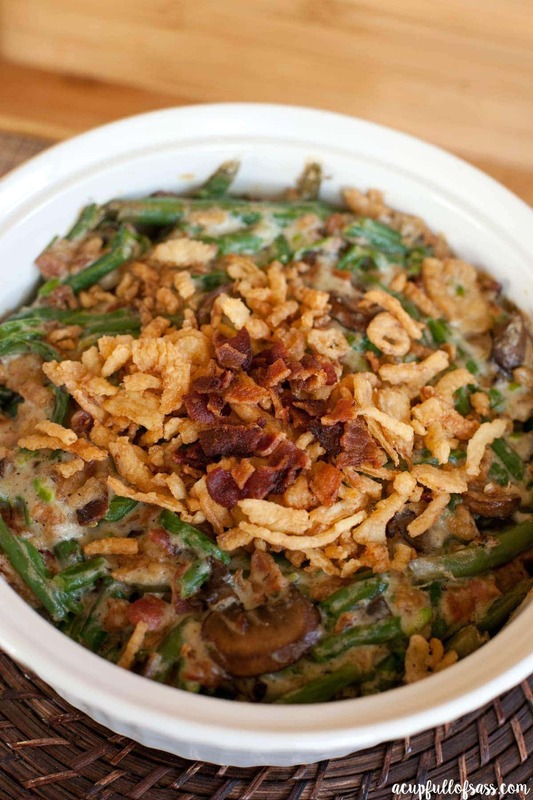 This Bacon Green Bean Casserole is perfect for Thanksgiving. Boil green beans in a pan for 5 minutes on med – high heat. Or follow instructions on green beans package. In a cast iron skillet or use any skillet, fry bacon until crispy. Once it’s done, crumble bacon into little pieces. In a medium skillet sauté mushrooms. Add cloves of garlic minced. Cook mushrooms and garlic together for 2-3 minutes. In a 2.5-quart casserole dish, mix green beans, cream of mushroom condensed soup, bacon, mushroom, garlic, whipping cream, salt, pepper and 2 cups of fried onions. Cook at 350 degrees for 30 minutes or until mixture is hot and bubbling. Add remaining fried onions (1/2 cup) on top of casserole and cook for an additional 5 minutes. Seriously, once you try this recipe you will want to make it for every holiday. I hope you enjoy this recipe as much as we do. Thanks for catching that Nancy. I corrected it. Happy Thanksgiving!